This week’s edition of Generoso’s Bovine Ska and Rocksteady began with a two sets of ska classics and rarities starting with Red Sea, a rare vocal cut from the king of the ska harmonica, Charley Organaire and ending with Rolando Alphonso magnificent ska instrumental from 1966 for Winston Blake’s Merritone label, “Sai Pan” We rarely mention it on the blogpost but our backing album was just too good not to mention here, and that was Zulema’s 1975 disco classic, Ms. Z. After an upbeat mento set, we ended the first our with two version to version pairings, starting with Ken Boothe’s “I Don’t Want To See You Cry,” and Delroy Wilson’s “I’m Not A King.” We then began the second hour with a spotlight of the rare Winston Lowe produced label, TRAMP. Two years ago, Generoso finished a documentary he had been working on for the previous four years on Chinese Jamaicans and their contribution to Jamaican music. From artists to producers, there is an amazing history of Chinese Jamaican participation in turning reggae into a worldwide phenomenon. Many know the names of Byron Lee, Leslie Kong, and Vincent and Pat Chin, but rarely is the name Winston Lowe mentioned. A friend of Bunny Lee, Winston Lowe ran his Tramp label in Greenwich Farm, creating some truly illustrious productions during its brief period of activity from 1968 to 1972. Amongst the artists who would stop by at Tramp, the Melodians and Lloyd Charmers would cut some of their finest sides for the label. Of the rotating artists, The Uniques recorded some of their best material at Tramp on loan from Bunny Lee, including an outstanding version of “For What It’s Worth” by Buffalo Springfield entitled “Watch This Sound,” which started this evening’s label spotlight. Soul Syndicate backed up many of the Tramp label tracks of the early 70s, with members including Bovine Ska friend Tony Chin, Earl “Chinna” Smith, Carlton “Santa” Davis, and George “Fully” Fullwood. The band still performs today, with many of the original members performing at Don the Beachcomber in Huntington Beach every Sunday, which is an awesome thing! You can listen to our show from August 25th, 2015 by clicking HERE. Unfortunately, we started off the show this week with some very sad news from BB Seaton of The Gaylads…He posted that his friend, bandmate and co-founder of The Gaylads, Maurice Roberts had passed away. “Joe” as he was affectionately called by his friends, died after a long period of illness. We first heard of Joe’s passing health when we interviewed BB Seaton back in the spring of 2012, but there was little information being released on the status of his health so this comes as a surprise. We started off our program with a few of our favorite Gaylads tracks that were recorded in the early reggae period, including “Someday I Will Be Free,” “Wha She Do Now,” and “My Jamaican Girl” as well as the version of that tune recorded by the Conscious Minds, to which Joe also passed bass. We send our love and respect to Maurice Robert’s family, and The Gaylads. RIP Joe. We ended the first hour with some rare Jamaican rhythm and blues tracks before going into the spotlight of Justin Yap’s Top Deck Label. Born in 1944 as Phillip Yap, Justin Yap had an early entry into the music industry. As the son of ice cream parlour and restaurant owners, he had the opportunity to play music for his parents customers, setting up an in house sound system. Like so many other sound system operators, Yap realized that in order to stand out, especially to a girl he had a crush on, he had to record original music. Consequently, he began writing songs, and he recruited Ephraim Joe Henry to record a few tracks for his emerging Top Deck label, including“There She Goes,” which is the track that kicked off our spotlight on the Top Deck label. 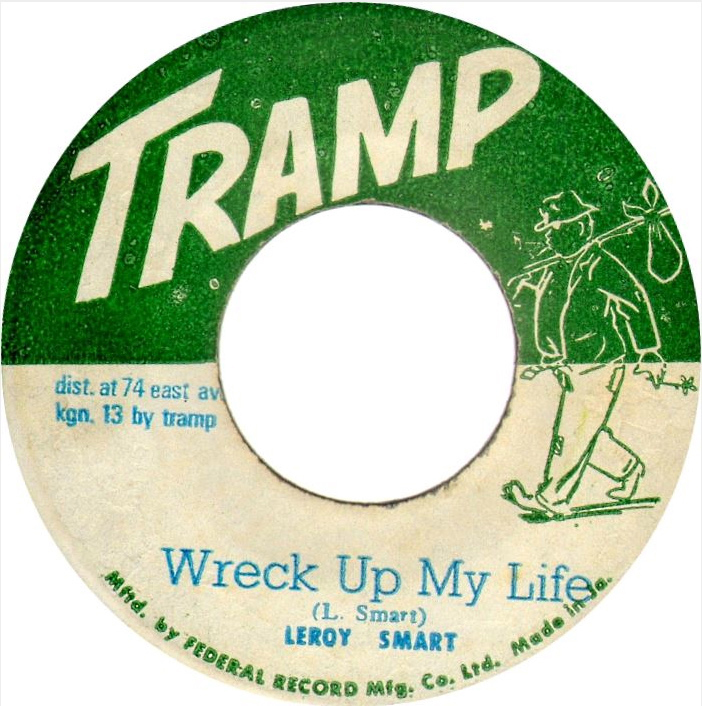 After the first recordings of Joe Henry, Top Deck was not quite a successful label, but after the arrival of Fitzroy “Larry” Marshall, the label began to gain traction with his cover of Paul Martin’s “Snake in the Grass,” which reached the number one spot in the Jamaican charts. After working with Baba Brooks and recording his hit of “Jungle Drums,” Yap began to search for more instrumentals. And as a result, he arrived to The Skatalites after finding out that they were not exclusive to Coxone Dodd through a friend. To make the most of his recording time with the Skatalites, which he offered a double rate for, Yap had one enormous session with them that resulted in Ska-Boo-Da-Ba. This outstanding record was recorded in an intense 18 hour session in November of 1964. Yap moved to America in 1966, where he became a soldier and would eventually fight in the Vietnam War. Consequently, no Top Deck recordings exist in reggae, but thankfully, Yap brought his master tapes with him to America, and consequently, his tapes have been re-mastered and re-released over time. Sadly, Justin Yap passed away in 1999 in liver cancer, but the legaacy of his recordings have continued to live on. You can listen to our show from August 18th, 2015 by clicking HERE. For this past week’s show on August 4, 2015, we went back to our label spotlights by focusing on the releases of the UK Giant Label. But before we did, we did an hour of reggae and rocksteady, beginning with version to version to version excursion of Dennis Brown’s 1972 hit for producer Lloyd Daley, “Things In Life” which was released on the Syndicate label in 1972. We ended that four song set with possibly the most popular side of the night, the ruthlessly catchy 1972 Techniques Label classic by Johnny Osbourne, “Ready Or Not.” Our second set began with a version to version of the Toots Hibbert penned “Come Down” sung by Carey and Lloyd. After a mento set and a long rocksteady set, that began with a exceptional soul cut from Prince Buster called “Land Of Imagination,” Lily and I launched into the second hour and a spotlight of the rocksteady-heavy UK “Giant” Label. Benny and Rita King distributed a lot of Jamaican music in England. 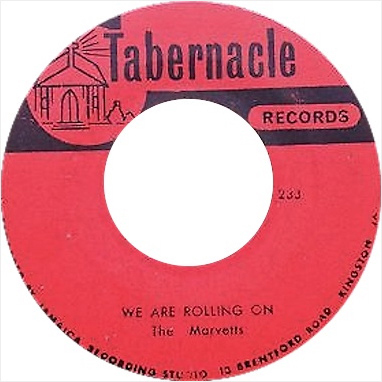 In 1959, they opened up their R&B record shop in Stamford Hill where they would originally sell records, but by the early sixties, the two began to distribute their own records through their parent label R&B. 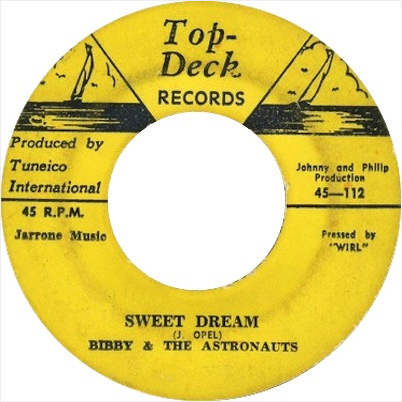 Rita would often go to Jamaica to find talent and to talk to Jamaican record labels, and over their career in the record industry, the Kings redistributed Ken Lack’s Caltone releases along with tracks from U Roy, Roy Shirley, and Max Romeo, along with their star, Dandy Livingstone, who prompted the creation of one of R&B’s imprints, the Giant label, which is our label spotlight tonight. In 1967, Dandy’s Rudy, A Message to You was released on Ska Beat, another R&B subsidiary, and saw quite a bit of commercial success, and as a result, the Kings decided to open Giant as a label that same year dedicated to Dandy’s work. The label had a total of 39 issues with 26 of them including Dandy’s involvement either as a vocalist or producer. 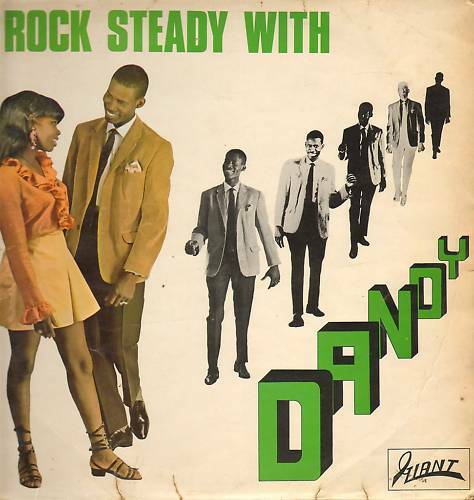 Given Dandy’s seminal role in the creation of the Giant label, we felt it was appropriate to start off with one of his great tracks for the label, People Rocksteady. Beyond Dandy works, Giant also pressed/distributed some work from Jamaica, including Albert Tomlinson’s Don’t Wait For Me and Roy Shirley’s Dance Arena. The August 4th, 2015 show with its Giant Label spotlight is available for your listening pleasure HERE ON MIXCLOUD. If you like what we do, please subscribe to our show, its FREE!!! Please do join us on Facebook to hear about upcoming spotlights and Jamaican shows in the So Cal area, rare Jamaican photos, and more! For many years, Generoso and Lily have talked about collecting all of the Doo Wop covers we know of in Jamaican music into a show. Generoso was born and raised in a Doo Wop center, and he carried over that love to Lily, so this show was built on a great love for American Doo Wop and the humming of melodies to try to match them to what we heard in Jamaican music. Consequently, as each show happened and a Doo Wop cover was identified, we would tag and label the tracks in the hope to eventually culminate all of the songs into one grand Doo Wop extravaganza. 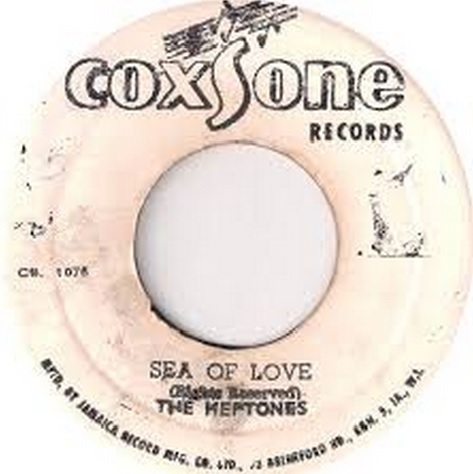 Finally, this past week, our celebration of Jamaica’s Doo Wop covers occurred. Despite all of our efforts to collect tracks over the years, this show took a particularly unique amount of hunting, given that plenty of the covers did not have the same name as the original tracks. Thankfully, we uncovered plenty of gems and are thrilled to share them with you. This Doo Wop show had plenty of highlights. In the first set, Prince Buster and his All Stars showed how to improve on the slightly offensive “Ling Ting Tong” by the Five Keys. Then, in the third set, one of our favorite discoveries appeared, a lesser known cover of Gene Chandler’s “Duke of Earl” by Cornell Campbell, which emphasized how much a doo wop track could be transformed and enhanced by a reggae rhythm and vocal styling. In the second hour, we also included a 4 song set of different versions of The Moonglows’ “Sincerely” from Dorothy Russell and Ken Parker, Owen Gray, and Joe Higgs. Listen to this special Bovine Ska and Rocksteady from July 28, 2015 HERE. Enjoy! Join us on Facebook to hear about upcoming spotlights, to see rare Jamaican music photos, and more!